Tamania has only one species of Selliera. 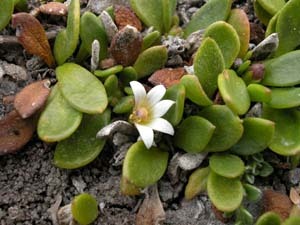 Selliera radicans is a low growing native herb that is very common in saltmarshes and other salty places. 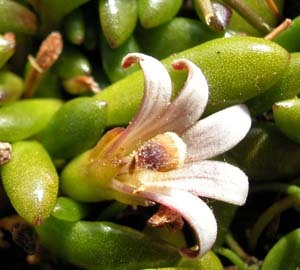 It has fleshy leaves.